1st, 3rd Tues 7:00 p.m. 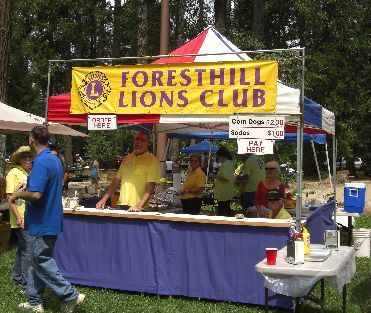 The Foresthill Lions Club is a fun-loving group of dedicated men and women out to improve the lives of those fortunate enough to live and work on the beautiful Foresthill Divide. We are blessed with spectacular scenery, stately pine trees and rushing rivers still sparkling with gold! We contribute to the betterment of the students at our elementary and high schools in many ways. Our Club is always interested in partnering with other local non-profit groups to host community fundraising events. 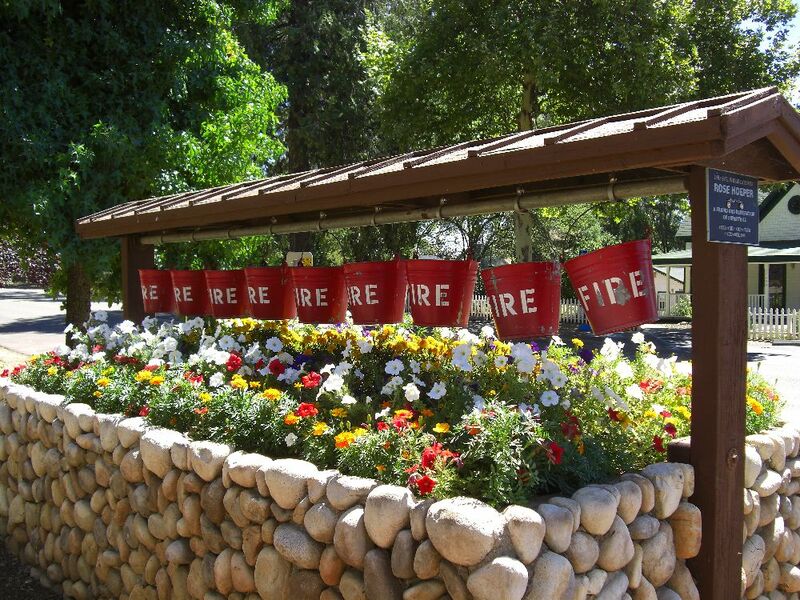 To keep our town attractive, we seasonally plant and maintain flower boxes in the center of town proudly displaying fire buckets to honor our local firefighters who keep the town safe during our hot summer months. 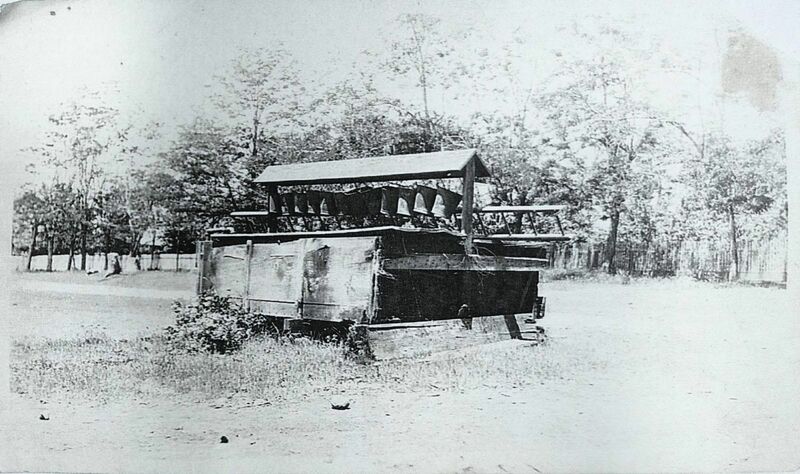 Recently, local resident, Sarah McMahan Christensen, provided this historic photo of the old fire trough in the middle of town taken by her Dad, Jim McMahan, in 1931. Jim was also a Lions member! It is this fire trough that Lions members have refurbished over the years to become the gorgeous planter you see above, still displaying the fire buckets honoring those firefighters, past and present, who have fought the good fight. To learn more about the history of the Foresthill fire troughs and their evolution into flower planters, CLICK HERE. 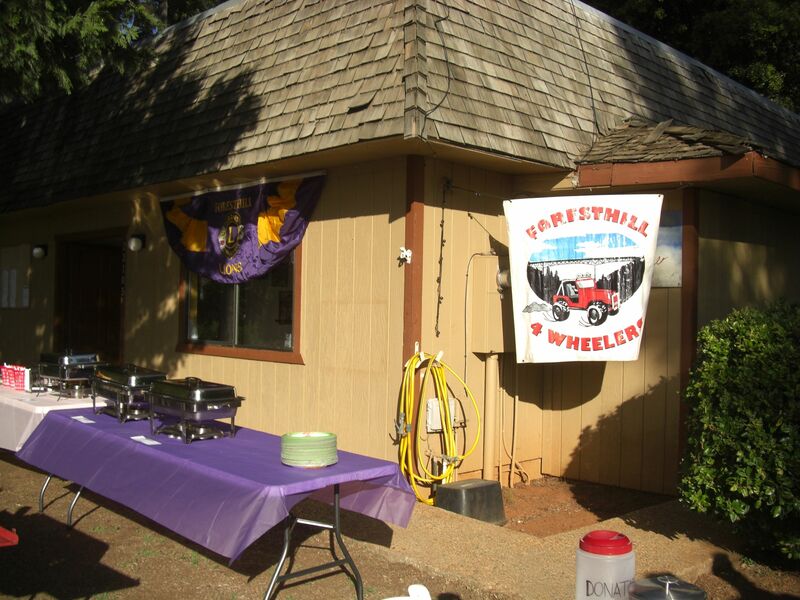 Our Club is actively involved in many events in Foresthill, including the 4th of July Parade, Heritage Festival, Classic Car Show, Harvest Festival and Christmas Tree Lighting. 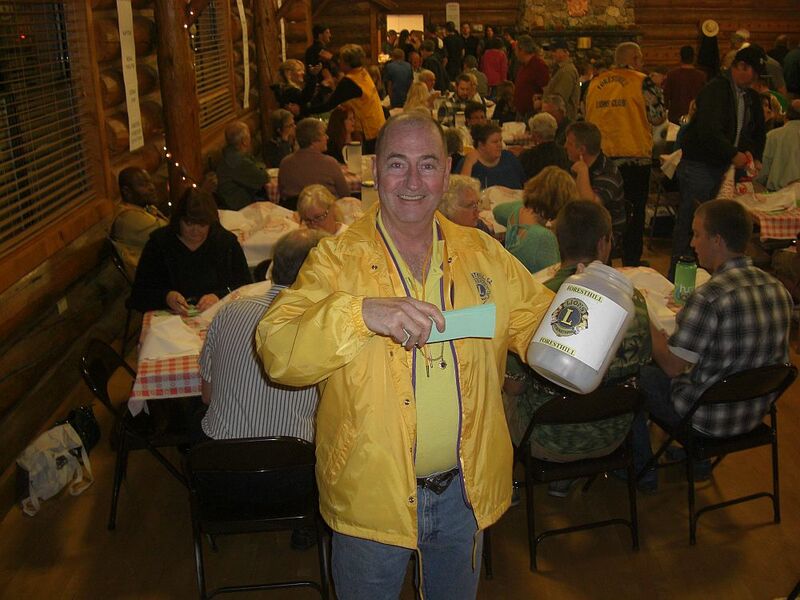 Our big fund-raising event of the year is our Seafood-a-Rama and Community Raffle held in February. Because seating is limited, everyone scrambles to get the 'Hottest Ticket in Town' for this popular event. Proceeds from our fundraisers go to providing Foresthill High School Senior Scholarships and providing vision services to local residents. 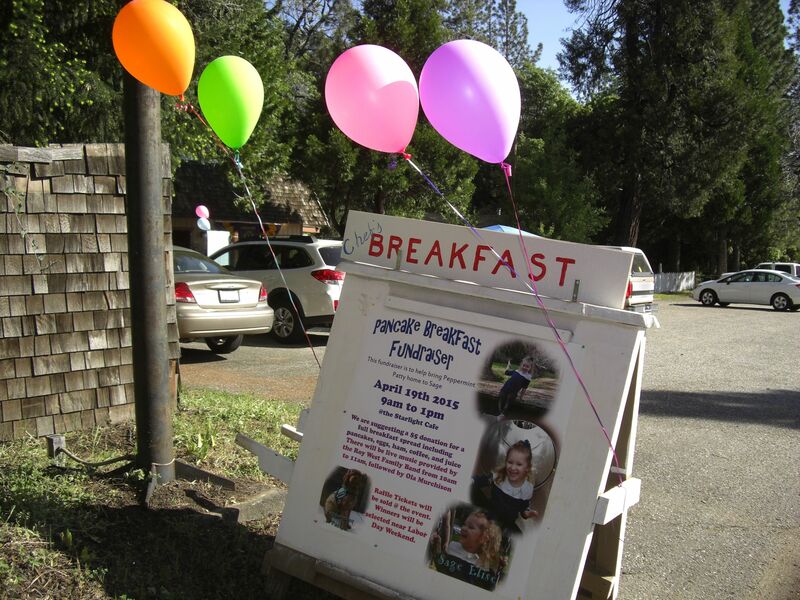 We also donate to Little League, Boy Scouts, Girl Scouts, Foresthill Pool and other requests througout the year. 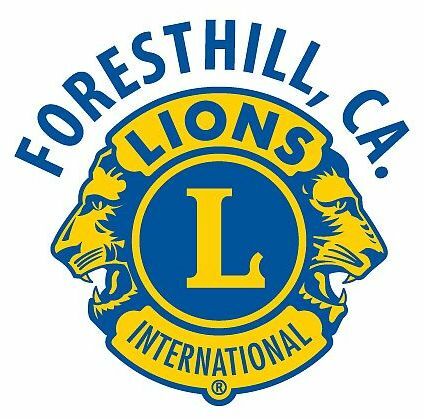 In addition, our members donate regularly to Foresthill's Community Service Closet 'Elijah's Jar' and we contribute many volunteer hours to the organization. As new residents discover the peace and beauty of our neighborhood, we continue to increase our membership with folks who are interested in providing service to our community. 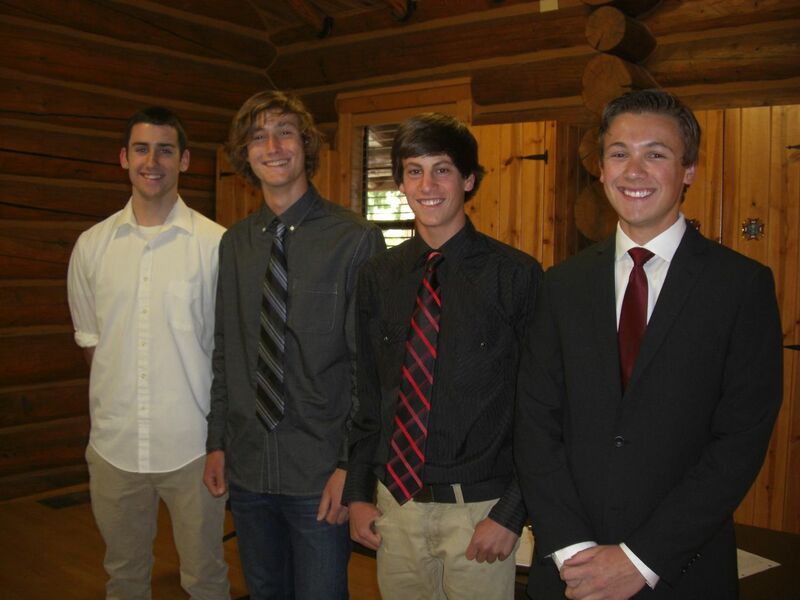 We were identified as one of the fastest growing Clubs in our district. We enjoy having visitations from other Lions Clubs. Please contact our Club Secretary or President to make your dinner reservations the week before the meeting you would like to attend. Bring a crowd....we have plenty of room! As much as we enjoy the camaraderie of our Lions Club members and all the activities we are involved in, we know we can always do more. Should you have ideas or recommendations for projects that would benefit our community, we'd love to hear from you.